The Puma 40 Sedeo Ergo combine the ultimate Sedeo Ergo seating system with the award-winning Puma 40 front-wheel powerchair. With it’s compact and stylish design and high-end powerchair functionality, you’ll enjoy great indoor manoeuvrability whilst driving comfortably on uneven terrain. The Puma 40 Sedeo Ergo features the most effective anti-shear mechanism on the market, allowing full contact with the footplate, headrest and seat whilst changing positions. 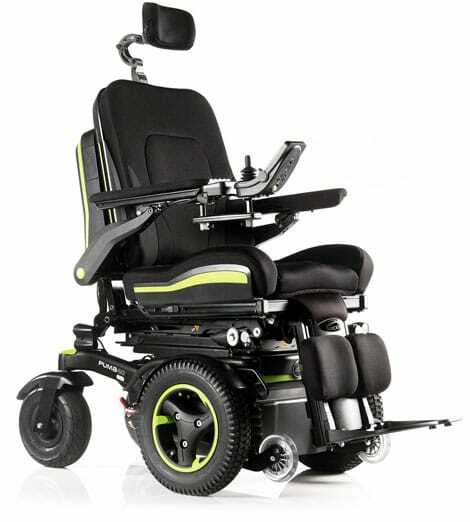 The unique seating system positions you like no other powerchair with its patented biometric repositioning feature, keeping your body naturally positioned against the seat at every stage of repositioning (ideal if you struggle to reposition your body yourself). If you’re interested in the Puma 40 Sedeo Ergo then please fill out this form and a local specialist with get in contact with you shortly.